I just found out Marvel Anime premiered a few weeks ago. I guess I’m a little late to the party. Oops. While I enjoyed it, I was left a little confused. Maybe it’s because I am jumping in in the middle, but I don’t know how old Logan is supposed to be. That might seem odd, we all know he’s over a hundred, but the animation makes him appear much younger than most portrayals, and Milo Ventimiglia of Heroes and Gilmore Girls fame sounds extremely young. I know it has been said that the backstories were going to be played around with but unless they completely reworked his history, something does not add up. He is established as an X-Man and he has the adamantium but he does not sound like a man who has been through more than a lifetime's worth of crazy or had his mind mucked up. I don't know if that was a conscious choice of the creative team or if it is just because Ventimiglia is a young man who has not abused his voice enough to sound rough and gritty. Overall, I really like the animation. The backdrops are gorgeous and Omega Red looked badass. It’s Wolverine who kinda ruins it for me. He’s tall with a mullet and really oddly placed sideburns. 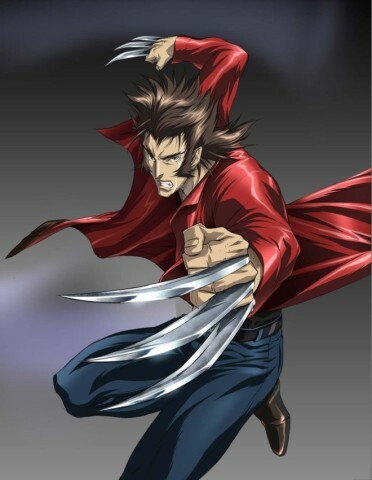 I feel like they were trying to make him an anime Hugh Jackman and not the short, scrappy, hairy Wolverine we all know and love. My only other mild complaint is he was working with a female, who I believe to be Yukio, but her name is never mentioned in this episode. Come on! The episode had several different characters and other than the law enforcement agents who are after him, everyone else was named. Why would it have been so difficult to just call her by name just once? I don’t get it. That said, I am definitely going to give the show another shot. The story, pace, and action were good and I really enjoyed watching it. I am also going to give Iron Man a go. You should too.